Hidemyass is offering a limited time only ‘Summer Sale’ deal that is valid only from June 12th to July 31st 2014. 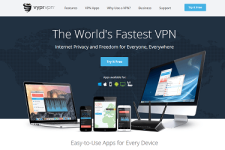 HMA is simply one of the best VPN services in the world, and this is an amazing deal to truly save a lot of money. There is no HMA Coupon code necessary to redeem this incredible offer. All you need to do is click the “redeem” button on the right, and all discount will be automatically applied to your cart upon checkout. The HMA Summer Sale is an excellent time to take advantage of a great discount. It coincides with vacation and summer travel for many of us, and of course the FIFA 2014 World Cup! If you need more info, check out our detailed Hidemyass Review OR visit: www.hidemyass.com. 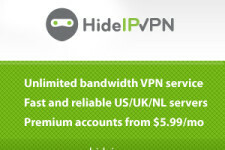 HideIPVPN Deals: 20%+ Discounts Every day!